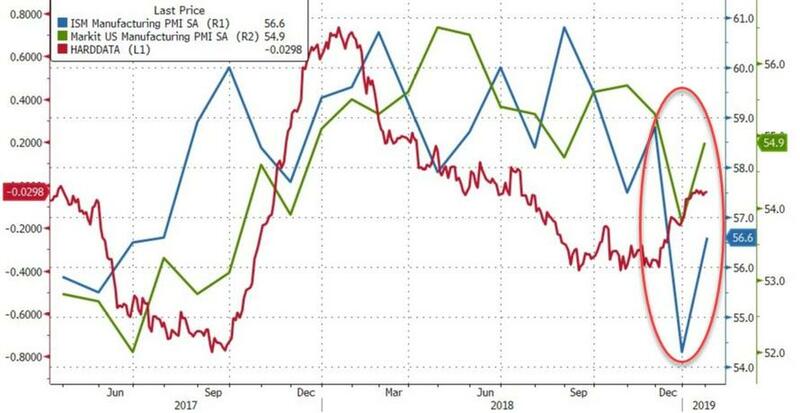 Below the surface of the Manufacturing PMI, however, it was not all sunshine and unicorns as new export order growth slumped but overall it seems the government shutdown did not affect survey respondents' sentiment at all as business confidence rebounded notably. "January saw US manufacturers start the year with renewed vigour. Production rose at a markedly increased rate, commensurate with the factory sector contributing to robust economic growth of approximately 2.5% in the first quarter if such momentum can be sustained in coming months. "Other encouraging signs included an improved rate of job creation and increased purchasing of inputs, suggesting firms are in the mood for expanding capacity. 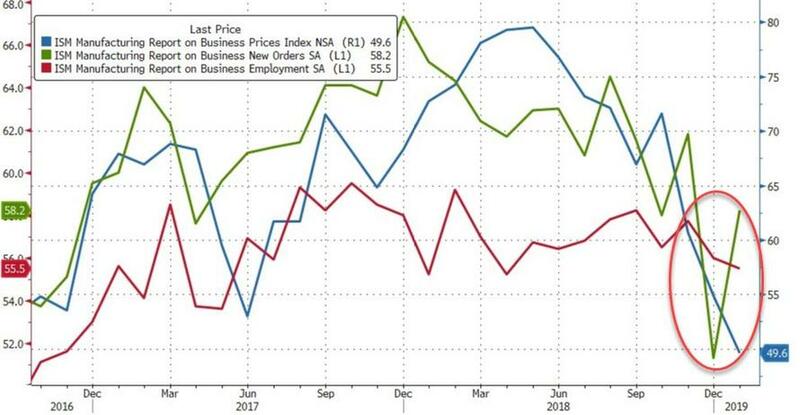 “The upturn in business activity in January helped lift confidence in the outlook, though many companies clearly remain concerned about the impact of trade wars and rising protectionism. 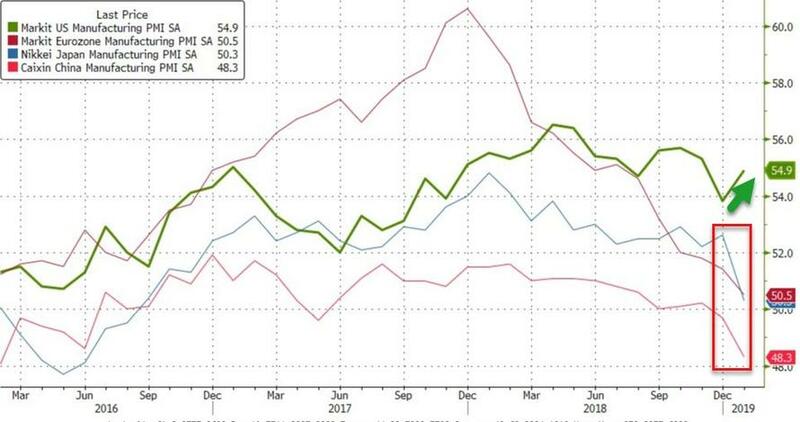 “Domestic markets provided the main source of new work for manufacturers, offsetting a near-stalling of export trade, the latter linked to subdued demand for US goods in foreign markets. It seems, from the first chart above, that perhaps US sentiment is on a lag to the rest of the world - remember there is no decoupling. Mixed enough for everyone to be happy.